There’s an old saying that Memorial Day is the “unofficial start of summer,” and we couldn’t agree more! 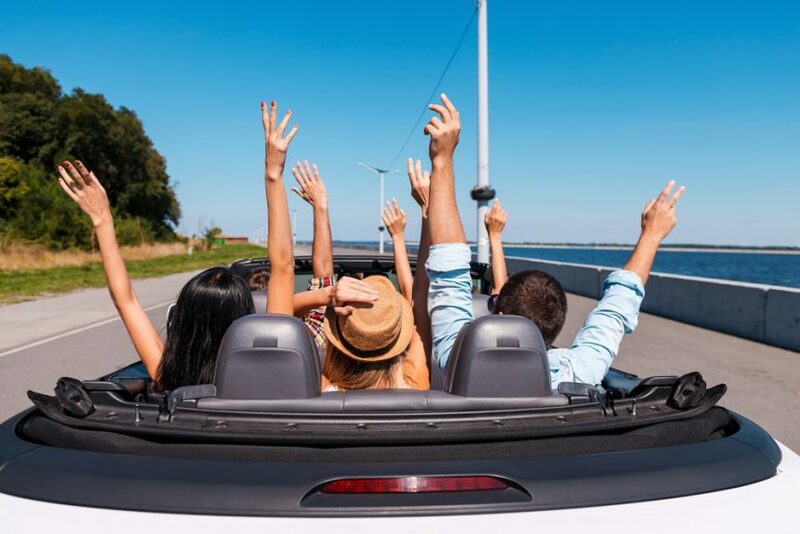 With Memorial Day behind us, warmer weather on the way, and schools letting out for summer break, it’s time to begin thinking about your summer road trip — or road trips if you’re feeling extra adventurous. Today we wanted to provide you with 5 great tips for making your summer road trip successful. This beautiful country of ours is crisscrossed with a wide variety of roads that allow you to wander through some of the most diverse landscapes on the planet. If you’re ready to hit the road for an “All American Road Trip,” make sure your trip is about more than the destinations. Planning your route ahead of time will allow you to take a route that will take you through breathtaking scenery, one-of-a-kind landscapes, and historic towns and cities. Along the way you’ll be able to find exciting recreational activities, interesting archaeological experiences, or diverse cultural encounters that can make sure your trip is one to remember. If you’re looking for inspiration, check out some National Scenic Byways and All-American Roads. If you’re a little intimidated by the idea of driving around the country with your family, don’t worry, you’re not alone. Before your family road trip can become a cherished memory, you’ve got to survive it first. By taking the time to plan ahead, you can make it far easier for everyone to have an enjoyable time that they will remember for years to come. As mentioned above, planning your route ahead of time is a good idea, but you should also plan ways to help keep your family as comfortable and interested as possible. Make sure to include proper organizers, entertainment, and sleep comforts in your road trip plans this summer. No matter how good your playlist is, it’s likely to get old sooner or later. And, unfortunately, if you’re planning a long road trip, it’s bound to be sooner. One way to help shake things up is to listen to an audiobook together. If you choose the right book, you could keep your family entertained for hours. Yes, it can be difficult to find an audiobook that your whole family can enjoy, but taking the time to find something that fits your family’s interests is definitely worth it in the end. Find an audiobook your whole family can enjoy by considering the ages, interests, and attention spans of everyone who is going on your road trip with you. Who knows, maybe you’ll find out that your family can’t wait to get to the next chapter, even if it’s time to stop for the night. Nobody wants to think about the possibility of getting into an automobile accident while they’re on a road trip, but it’s far better to be safe than sorry. This is especially true if your road trip is taking you far from home. Virtually any time you’re is an automotive accident, you’ll find yourself in a chaotic situation. And these situations become even worse when you’re in unfamiliar country. They say that an ounce of prevention is worth a pound of cure, so make sure you’re Prepared for an Auto Accident before you leave home. This tip goes hand in hand with Tip #4. In order to make sure you’re prepared for troubles on the road, you’ll want to make sure that you have everything that you might need on the trip. This, of course, includes packing clothes, under clothes, toiletries, pajamas, medications, and other necessities for every member of your family. However, there are many other things you should have with you in case you need them. Below is a list of ten simple items you should consider keeping in your vehicle whenever you travel.